Many horse owners face a difficult decision when deciding between building their own horse barn or renting space to have their horse stay at another person’s barn. Boarding their horse is a necessity for some owners, as perhaps they don’t have the pre-requisite space needed to build a barn on their property. Or perhaps the owner doesn’t have the time and/or help to provide the horse the daily care it needs. In these instances, boarding your horse is a sensible option. However, for a variety of reasons, we suggest that horse owners with the necessary property space that can properly care for their horses should build their own barn. 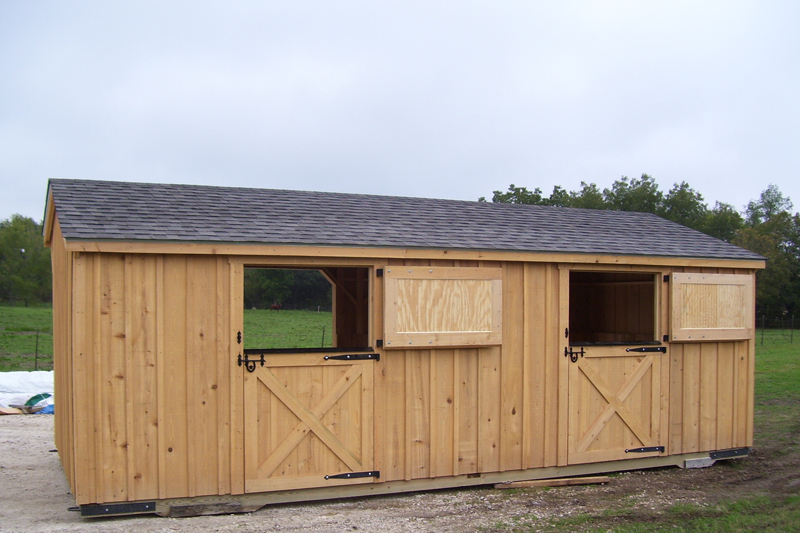 For starters, building a horse barn is a simple, one-time cost. Conversely, owners that choose to board their horses are forced to pay a weekly, monthly or annual fee. Choosing to build your own may cost more up front, however, eventually the boarding fees will accumulate to cost more than your own barn would. Additionally, there is never a chance for a return on investment with those monthly fees, while building your own barn is an asset that could increase the value of your property. Another advantage of building your own barn is continual access to your horse. Let’s say you are having a bad day, and really want to see your horse because he or she always cheers you up. Well, if you are boarding the horse, you will have to drive someone where else to arrange a quick visit. Meanwhile, horse owners simply have to walk outside to their back yard to see and visit their cherished horses. 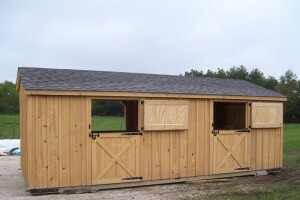 Lastly, building your own barn ensures that you have complete control over the love and care that your horse receives. A horse holds a special place in an owner’s heart, and even the most trustworthy boarding barns will probably never love your horse as much as you do. That is one thing that a weekly, monthly or yearly fee cannot cover.